Pawn your Andy Warhol Painting & Art | Loans on Andy Warhol Paintings! Owning art is often a highly personal thing, even when the artist involved is as universally admired and globally significant as Andy Warhol. This can make the prospect of selling highly unattractive. Fortunately, we have a positive answer to the question ‘can I pawn my Andy Warhol art in London?’ Our discrete service provides access to loans on Andy Warhol art and other pieces of value. That’s due to our experience and unique insights into the true value of Warhol origins. As the most renown high end pawnbroker within UK, we also appreciate how important it is to our clients to retain ownership of both celebrated and lesser-known artwork. It’s possible to secure loans on Andy Warhol art or paintings using our discreet and seamless London pawnbroking service, which temporarily releases the equity in your item or items. The loan you take on your Andy Warhol art or painting will be fair and equitable, due to our understanding of the true value of this artist’s original works. After all, how many other creative geniuses have risen so spectacularly from the ranks of commercial illustrators? Warhol was a draftsman, filmmaker and printmaker, as well as an artist. Which is why his work is often so difficult to define, despite the popular collective term “pop art”. It was possibly his 32-piece “Soup Cans” exhibition (depicting varieties of Campbell’s condensed soup) which signalled both his rise to fame and his unique perspective, when it opened its doors in 1962. Though of course, it is his silk screens of Marilyn Monroe and Elizabeth Taylor that have inspired mass merchandise. Some of the mystique of his work comes from the colourful personal history of this charismatic genius. 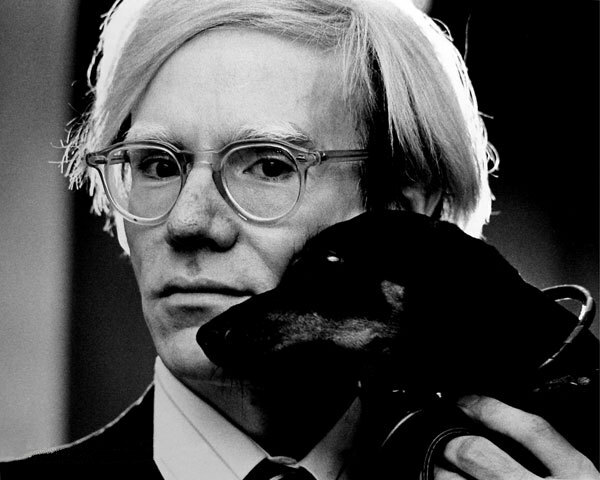 Warhol was born into a poor, Eastern European immigrant family in Pittsburgh. Yet he went on to live a Bohemian life, the darling of New York’s High Society and intellectual circles. Andy Warhol both manipulated and reflected popular tastes and cultural references, to create his iconic pieces. In his later years, before his tragically early death, Warhol concentrated on experimental films, but fortunately for art lovers he had previously been prolific. This is why the permanent collection of his art in Pittsburgh is the largest museum in the US dedicated to a single artist. Many of Warhol’s art pieces are highly valuable and in demand, making them and other pieces ideal for securing loans on pop art. The fact is that Warhol pieces do sell well. His haunting image Silver Car Crash (Double Disaster) sold in 2013 for $105.4 million and Green Car Crash (Green Car Burning I) went for $71.7 million in 2017. Simply contact us for a no-obligation discussion or to arrange a private appraisal appointment. Our highly confidential service includes offering loans on Andy Warhol art or paintings quickly, to ensure you have the capital you need without delay. The interest charged will also be fair, to ensure that you can reacquire your artwork in a timeframe that best suits your individual needs and preferences. For more information on services provided by New Bond Street Pawnbrokers please watch our video here and read about the loan process here. Some of the many artists we loan against include Andy Warhol, Bernard Buffet, Damien Hirst, David Hockney, Marc Chagall, Raoul Duffy, Sean Scully, Tom Wesselmann, Tracey Emin, Banksy, and Roy Lichtenstein to name just a few.